Wheeler encloses a scholarship contribution, commenting that she hopes the children are well trained in housework because there is great need for domestic workers. 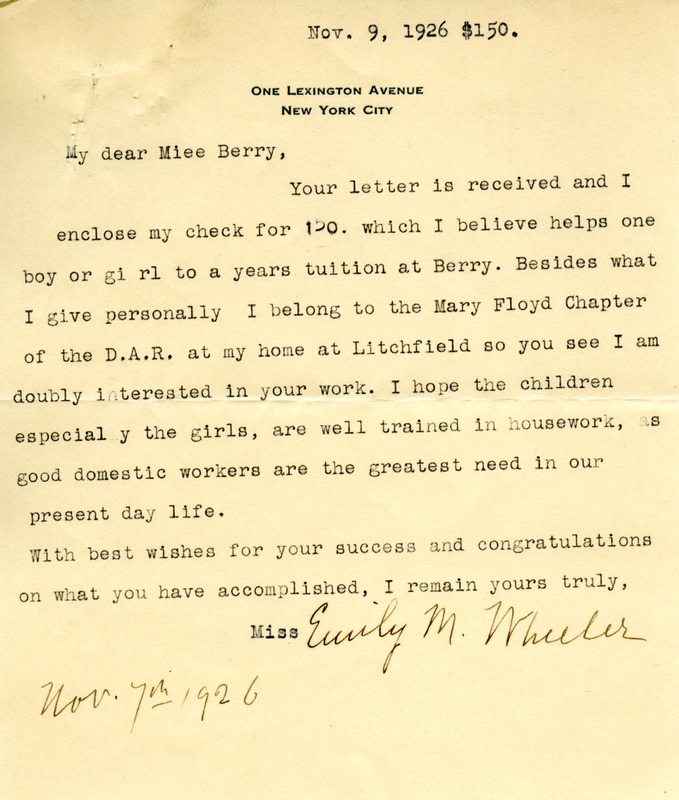 Emily M. Wheeler, “Letter from Emily M. Wheeler to Martha Berry.” Martha Berry Digital Archive. Eds. Schlitz, Stephanie A., Sherre Harrington, et al. Mount Berry: Berry College, 2012. accessed April 25, 2019, https://mbda.berry.edu/items/show/3737.